With South Shore, we offer wheelchair equipped, non-emergency transport services for our mobility-limited community. We are a fully licensed and insured company and our vehicles are equipped with on board surveillance systems, real time GPS tracking and 2way communication devices with our staff for your safety and security. Safety is our number one priority for you and your loved ones. 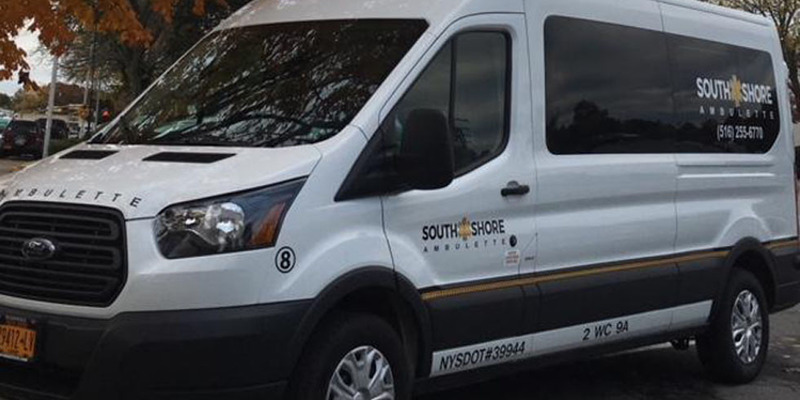 South Shore Ambulette provides our mobilty limited community with safe, reliable service. From special events to doctor appointments, we have you covered. A caregiver, a personal care attendant or family member can accompany you on your ambulette trip at no cost. In fact, we can accommodate up to 4 family members/companions. South Shore Ambulette is available 24-hours a day, 7 days a week, including holidays to reserve, schedule, and confirm your travel plans. We will work with you and make your experience as comfortable as possible.